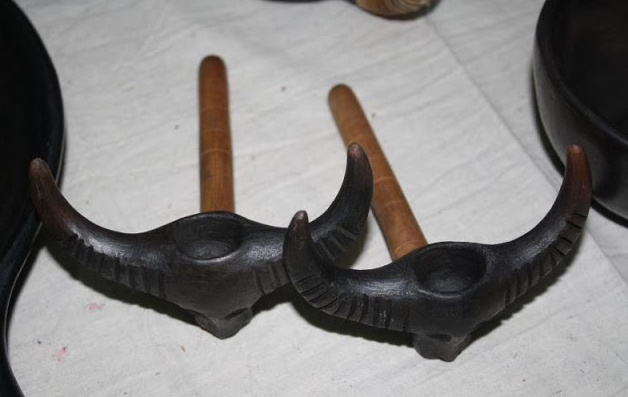 Manipur is a state embedded in deepest tradition of art and craft going back to a hoary antiquity. 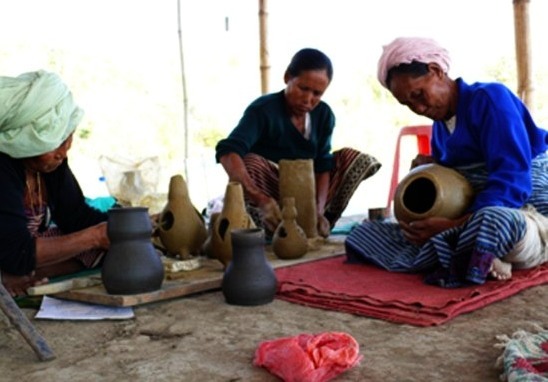 Pottery in Manipur is closely related with social, cultural and religious life. 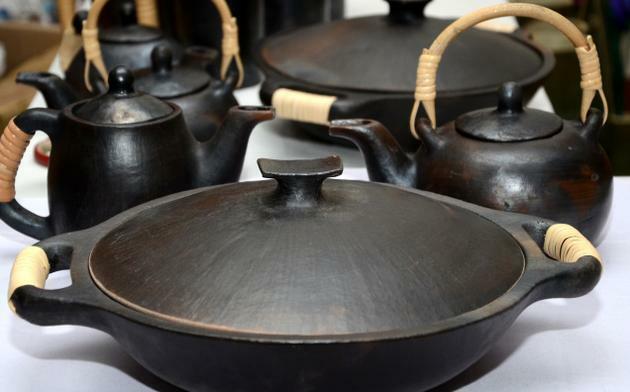 Longpi Pottery or Stone pottery is a traditional craft from Manipur. 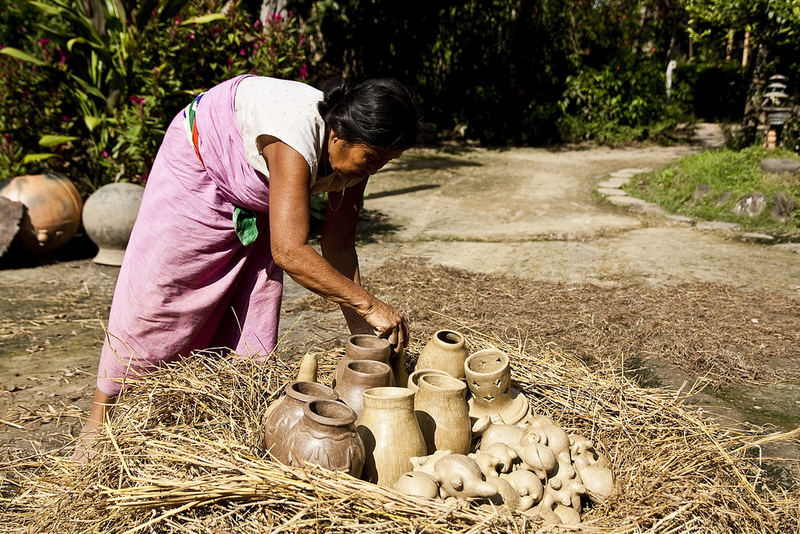 This pottery derives its name from the village Longpi in Manipur, India. My friend Chan introduced me to Longpi Pottery. 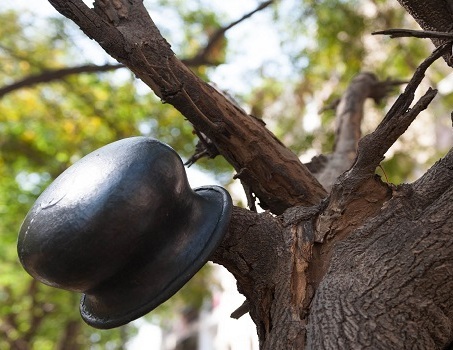 before the advent of aluminum pots. of Black serpentite stone and weathered rock which are mixed in a three to one ratio. The strength is provided by the Serpentine rock and the weathered rock acts as a binding agent. The paste formed from these is then rolled by hand into desired shapes. are put in a kiln and set on fire for around five to nine hours till it reaches 900 C.
which provides the luster to its surface. and is used during major occasions like marriage and Luira festival. the “great divide” of practicality and ethnicity. An absolute must for eco – friendly enthusiasts! hi, i am from jaipur and looking for there pottery contacts can you please provide me the details. i wanna buy in bulk for my shop. i have an organic store of my own in banjarahills hyd, where i encourage farmers to sell thier natural produce. 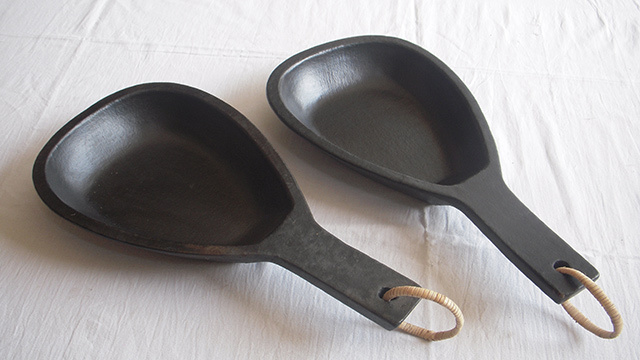 i would also like to purchase these longpi pottery cook ware on a bulk basis. would like to know from where to buy and whome to contact pls. Where do you stay? Accordingly, I can tell you from where you can buy. Great info Antima! I love how your blog is getting a form ! Good luck!